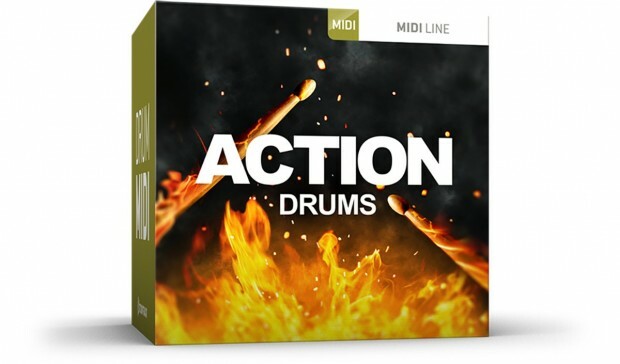 Toontrack’s new ACTION DRUMS MIDI pack presents a collection of unique and unconventional grooves designed for use in any dramatic or action-packed scene, soundtrack or songwriting context. This entry was posted in DontCrack, Virtual Instruments and tagged ACTION DRUMS MIDI, film music production, film scoring, Grooves, MIDI grooves, rhythmic structures, Soundtracks, Toontrack. Bookmark the permalink.